Russian Socio-Ecological Union welcomes the attempt for balanced objective view on the issue of climate change. A year ago, in October 2009, at the threshold of the climate negotiations in Copenhagen, the same Russian 1 TV channel showed obvious climate-sceptical propaganda, explaining attention to greenhouse gases with a political consipracy. Such a program clearly contradicted both official position of Russia, which tries to play a more prominent role in international climate negotiations, as well as political efforts to implement energy efficiency measures (passing the new Law on Energy Conservation and Russia's Climate Doctrine by the end of the last year). 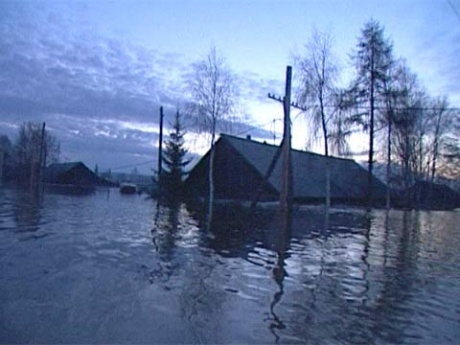 Climate change consequences in Russia, registered by Roshydromet federal service, were not mentioned. It looked like the program had been ordered by big CO2 emitters. The new documentary «We Will Burn, Freeze, Survive”, which was demonstrated Russian-wide in the evening of 19 October 2010, gave floor to the experts with different opinions. It was noticeable that in general, the filmmakers were really interested in a serious conversation. The main question in the film: what does global warming mean for Russia? Rector of Russian State Hydrometeorological University Lev Karlin repeated his words that for such a northern country like Russia a warming of two degrees Celsius could be a boon. Alexei Kokorin (head of climate programme of WWF Russia), Oleg Anisimov (head of Department of Climatology of the Russian Hydrological Institute) and other experts have mentioned other effects of climate change, having negative consequences for Russia. They mentioned in particular, the following effects: melting of permafrost and destruction of infrastructure in the North of Russia, increasing rate of the abnormal phenomena (tornadoes, droughts, extreme temperature changes), natural disasters, shortage of fresh water, which can lead to instability in Central Asia. One must not forget that global warming affects most the poorest and the most vulnerable. Among the participants of the film was Anton Mikhailov, who witnessed tsunami in the Indian Ocean after a strong earthquake in 2004. This tsunami killed a quarter million people; in the film, experts say that these people could have been saved if there were mechanisms for prevention: the tsunami reached the shores in 2,5 hours, and people could be saved if they had gone into the islands for 1 kilometer further. Global warming may cause flooding of vast areas, covering entire states, and therefore requires a concerted international action. Russian Socio-Ecological Union hopes that the focus on the issue of climate change will be continued by the Russian television: how to deal with the inefficient energy use, what measures are being introduced in Russia at present, how each citizen can participate in the reduction of unnecessary greenhouse gas emissions. Measures aimed at improving energy efficiency in the European Union, allowed to significantly reduce the actual emissions of greenhouse gases: for 17%, even not taking into account carbon trading (carbon trading system is being more and more criticized for “reductions on paper” and it is not yet known whether this system would be kept with the adoption of a new international climate agreement, replacing the Kyoto Protocol in 2012). Russia has officially declared the aims to reach by 2020 the increase its energy efficiency by 40 %, increase of renewable part in electricity production by 4,5 % and reduction of CO2 emission by 15-25 %. These aims are better then nothing, but they are not corresponded to each other and to actual Russian resources for climate-friendly energy solutions.